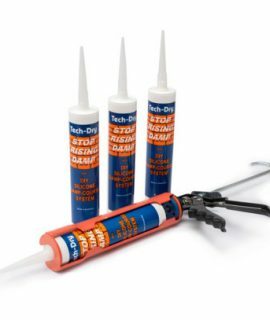 Innovative water-based silicone cream for fixing rising damp. 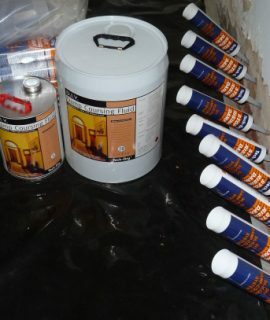 Traditional solvent-based silicone solution for fixing rising damp. Water andsalt resistant admixture for cement renders and mortars after damp-course treatment. Rising damp is salty ground moisture that rises by capillary action up a brick or masonry structure e.g. wall or fireplace. 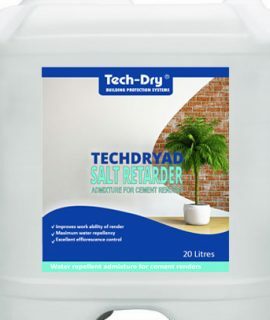 Also known as “salt damp”. the damp course level is bridged by earth, concrete or other masonry. Where does rising damp occur? Rising damp occurs at the base of brick or masonry structures. The installation of a new damp course into an existing brick or masonry structure (at floor or ground level) stops rising damp. What to do after rising damp treatment? Internal rendered walls: allow to dry for a minimum 3 months before anyre-rendering/re-plastering. External bare brick walls: allow to dry for a minimum 12 months, followed by salt removal, before any surface decoration. Mould is a product of poor room and/or sub-floor ventilation, and not due to rising damp. Increasing ventilation through opening doors and windows and installing sub-floor vents (pressed metal or cast iron) will alleviate this problem.